What does it mean to work in the language teaching industry? A follow-on blog from our callout regarding unpaid labour in language schools. Firstly, thanks to everyone who responded to our callout. We received responses from all over the world and they made for interesting – sometimes depressing, sometimes uplifting – reading. Interestingly, we received responses from a number of people who hadn't experienced systematic unpaid labour as such, but who'd faced late paychecks or paychecks that never arrived. We also heard more than one story from people who, upon arriving in a country for a new job, had pay and conditions different from what they'd been promised when they took the job. In regards to unpaid labour itself, many of the grievances will be familiar to folks in the industry. Unpaid staff meetings or training sessions – sometimes occurring during lunch hours or even at the weekend when the school is closed to students - were mentioned more than once. Inadequate and unpaid prep time came up as well, with teachers complaining that once prep time was factored into weekly hours, the actual hourly wage dropped significantly. We heard from one worker who was regularly scheduled for split shifts. But, working at a distance from home, found it easier to stay at work during his “break”. However, remaining in the building, there was an expectation to interact with students and, thus, work off the clock. Others talked about the expectation to attend unpaid after-hours social functions. Management often try to sweeten the deal with free food or drink but this doesn't detract from the fact that those drinks don't equal our hourly rate. And, even if they did, we shouldn't worry we'll be treated less favourably just because we choose not to attend “voluntary” activities. Not to mention that - if we're lucky enough to have it - we're still missing out on accruing vacation time and the like during those hours. Social activities have a real value to our employers and often feature prominently in advertising and promotion. If such activities are so integral to a school's business model, surely we should be paid for our part in making them a success. Finally, we'd point out that such expectations often have age and gender dynamic, with women – who often have extra responsibilities at home – and parents – who have to take care of children – having less free time available to attend such functions. While nobody should be penalized for not attending social functions, this constitutes an especially egregious outcome and should concern anyone who intends to stay in the industry long-term. 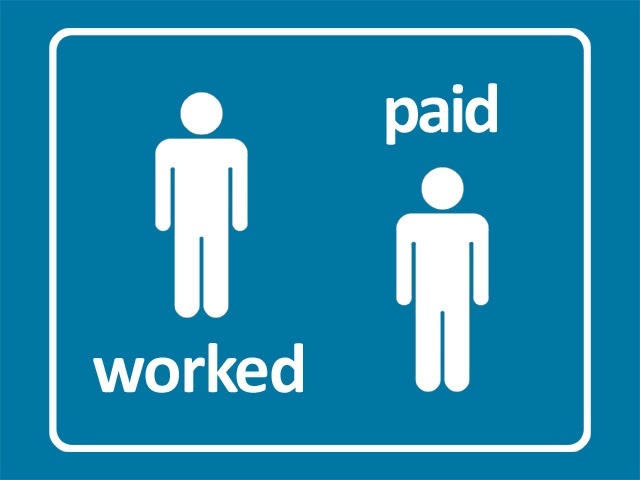 For others, the expectation of unpaid work was just blatant. One person told a story of being told in the interview that the job was Monday to Friday, 9 – 5, with a possibility of morning work on Saturdays. This turned into working every Saturday until noon. Then it turned out that there was a morning meeting every day at 8:15 and on some days, activities timetabled until 6:00pm. That's a lot of unpaid work. Another teacher discovered that even when management appear to be doing us a favour, it often comes at an unpaid expense. And who hasn't heard that from their boss, “You have it good here, it's not perfect, but we can't complain...”. Of course, we could just as easily point out that public sector school workers historically have much better conditions. Conversely, in some places children work 12 hour shifts for a dollar a day. That doesn’t mean everyone else in the world should shut up and be happy. But all that's not really the point, is it? It’s not arguments that win better conditions; it’s action. All of which brings us to the crux of the matter: what can be done about unpaid labour in the language teaching industry? The first thing we suggest is to not suffer in silence. Workplace problems rarely affect just one individual, so speaking to trusted co-workers when you feel you feel mistreated is always going to be the first step. The second step is raising the issue. However you do it – in a staff meeting, in a letter, or by marching as a group into your bosses office – doing it collectively is going to be key. Not only does this give us safety in numbers, it's a show of force (regardless of how gently or antagonistically we raise the issue). Many people are worried that if they bring up a problem at work, management will go on the offensive, disciplining and maybe even firing people. While this certainly does happen, in our experience it's much more likely for workers to be 'fobbed off' by a supposedly sympathetic Director of Service. They “understand” our concerns, but “it's coming from head office” or “they'll ask about it and get back to us”. And then, having been given a hearing, that's the end of it. A resolution is never really reached and management can brag about their “open-door policy”. At this point, it's time to think about how to escalate the situation. How can we put pressure on management? Should all staff send the same email at the same time to senior management raising the same concerns? Are all staff willing to boycott an evening out? Can you bring students on side and have them raise your issue with management? As the Angry Language Brigade we've tried to collect stories of language school workers who've used these sorts of tactics to rectify a variety or workplace grievances. Here a group of teachers refused to travel across the city for cover until their cab fare was paid. Here a receptionist won back pay and positive reference after dozens of supporters bombarded the school's Facebook page. And here two teachers secured weeks' worth of late wages by essentially threatening to strike. In any case, it's imperative to have a plan in advance. Management will respond in one way or another to your pressure. What's their most likely response? And how will you and your workmates respond to their response? These aren't always easy questions to answer. But by talking with each other, recognizing our common concerns as language teaching workers, and sharing our stories we can begin to turn the tide in the industry. And by supporting each other we can begin winning better conditions, more secure employment, and better wages. If you've got a story about working for a crappy language school, a bullying DOS, or being mistreated at work, please do share it with us. Even better, if you've successful fought back, we'd love to hear how you did it. Alternatively, feel free to post any stories or responses in the comments below. It’s not arguments that win better conditions; it’s action. All of which brings us to the crux of the matter: what can be done about unpaid labour in the language teaching industry? I have a couple of failure situations, one that even included a strike, that might be interesting for later. A big success for us was that some schools that weren't paying social security for teachers are now doing it ... But unfortunately the story is not so interesting because it was rather easy. The question is how to activate more teachers so they get this in their schools - but the fact of the matter seems to be that people in this country resigned themselves to either not getting this benefit or being fake self-employed and paying their own contributions. In my case, it was so simple, it is hard to believe. "And who hasn't heard that from their boss, “You have it good here, it's not perfect, but we can't complain...”. "Workplace problems rarely affect just one individual, so speaking to trusted co-workers when you feel you feel mistreated is always going to be the first step." This was deliberately made a very difficult thing to do because the boss had spies among the teachers. Me being a new fish in that kind of situation means that the veterans from both sides hardly touch you with a bargepole because they don't know your allegiance yet. I got talking friendly with one guy who passionately hated the boss, but also he had no will to fight.